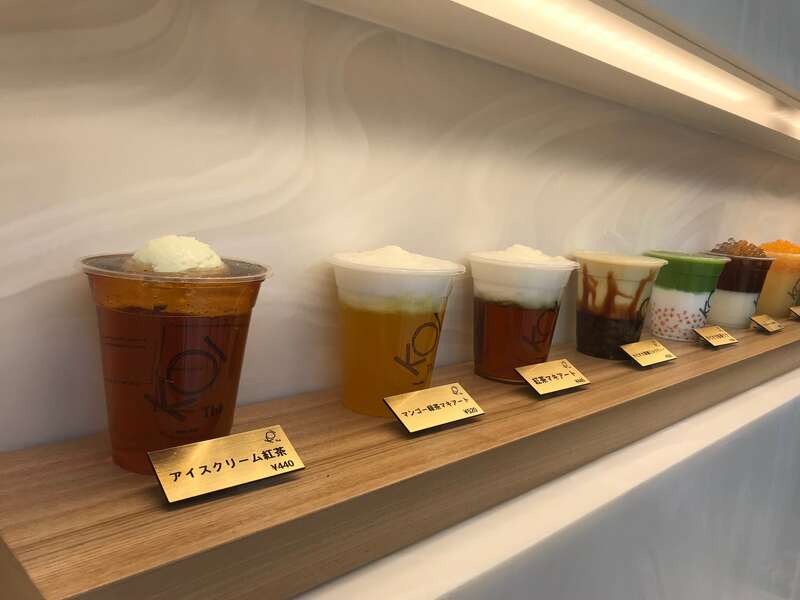 Japan is going through an unprecedented tapioca boom right now, and Harajuku is no exception, with tapioca stores opening left, right and centre. With so many to choose from no matter which you go to on a weekend there will be a huge line. 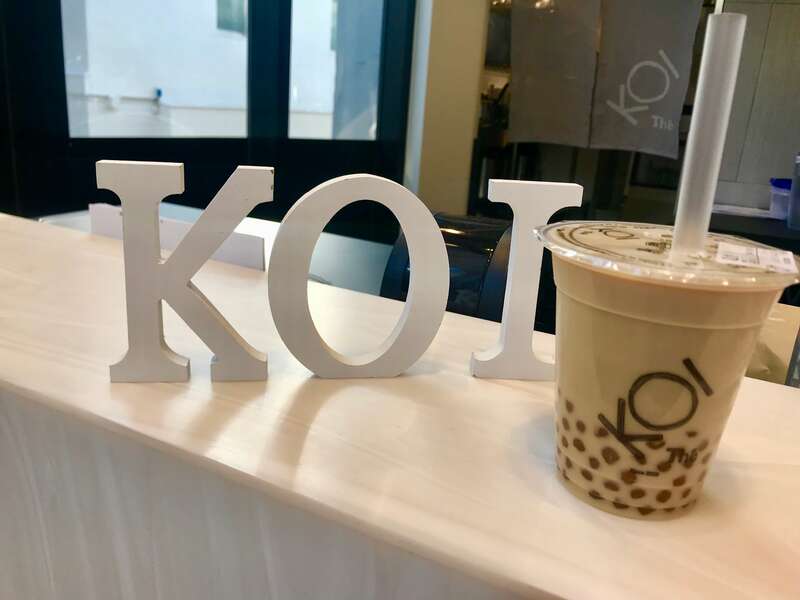 I visited KOI Thé, a new shop that just opened on November 25. 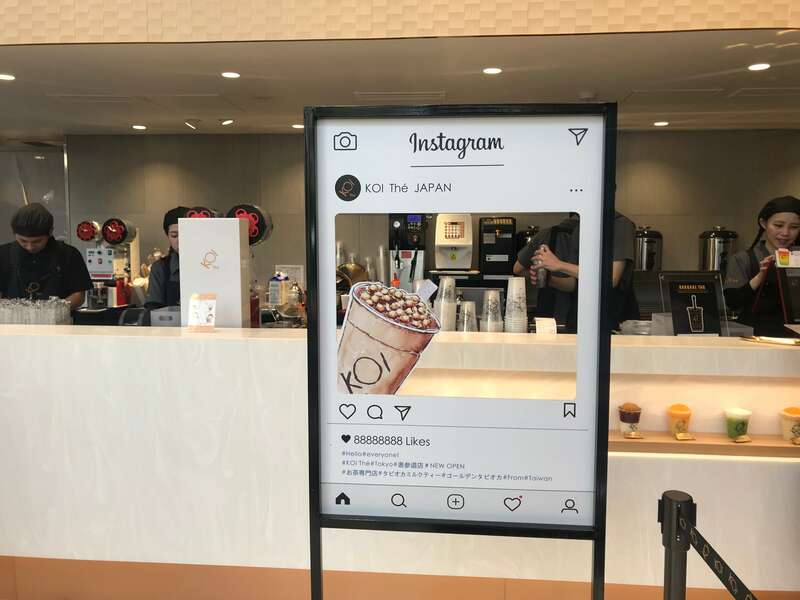 It’s located right near the MOSHI MOSHI BOX Tourist Information Center where you’ll find us. 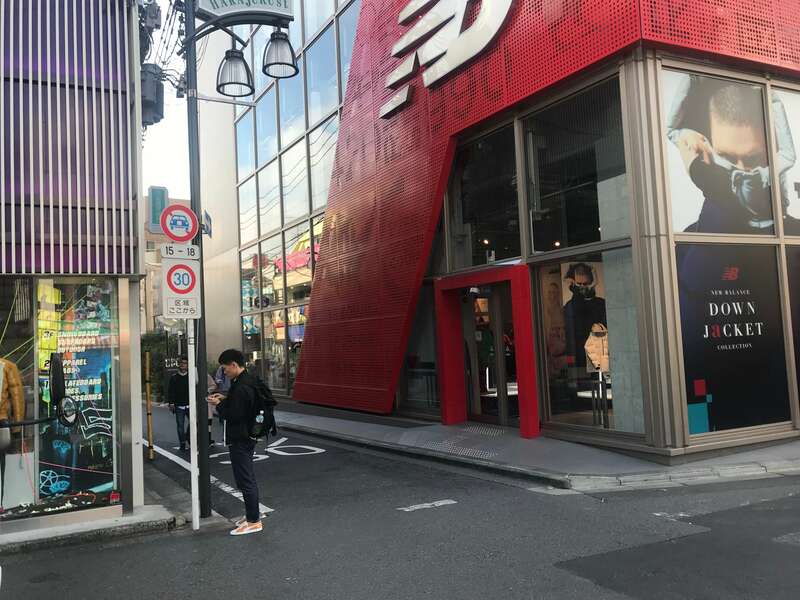 Head through Takeshita Street from Harajuku Station and go down the path between New Balance and Murasaki Sports. 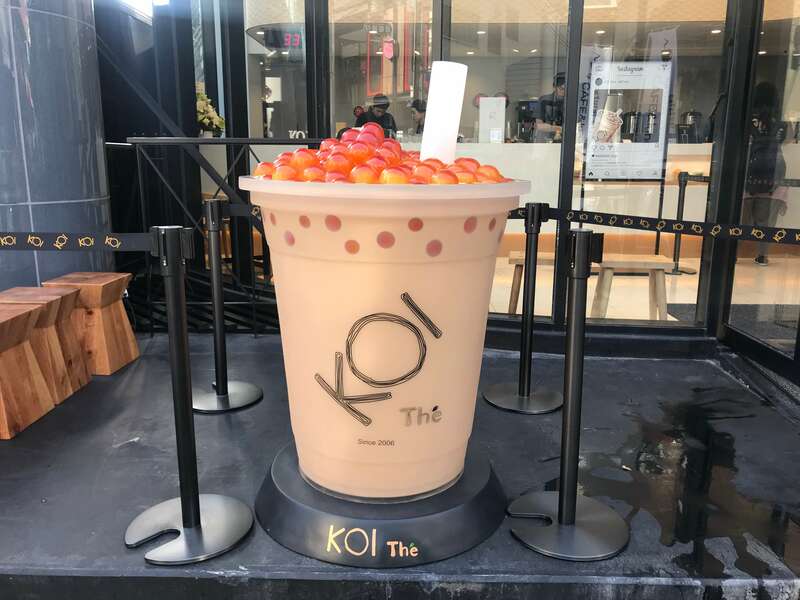 Follow straight down and you’ll find KOI Thé on your left. 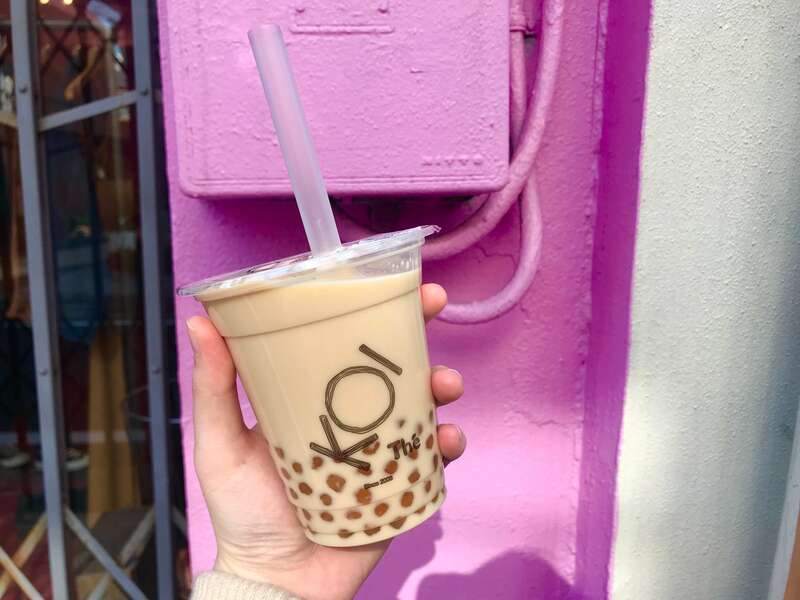 Look for the big tapioca drink outside – you can’t miss it! It’s quite spacious instead and has simple decor rather than being stylish. Guys can line up without worry too. This is how the menu looks. You can adjust how much ice and sugar you want in your drink. 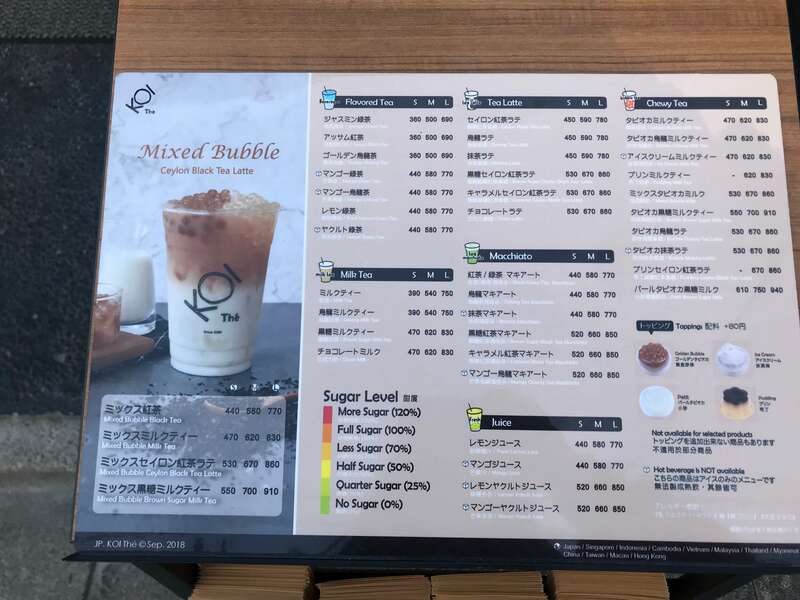 I went with the classic tapioca milk tea! The tapioca balls here aren’t black but in fact golden. The reason they are gold is because they don’t use food colouring. Tapioca that is transparent like this is cute too. The balls are comparatively smaller and are chewy and taste delicious! I ordered the drink with the normal amount of sweetness and it tastes even more refreshing than at other stores. It’s a simple tapioca drink made for adults. 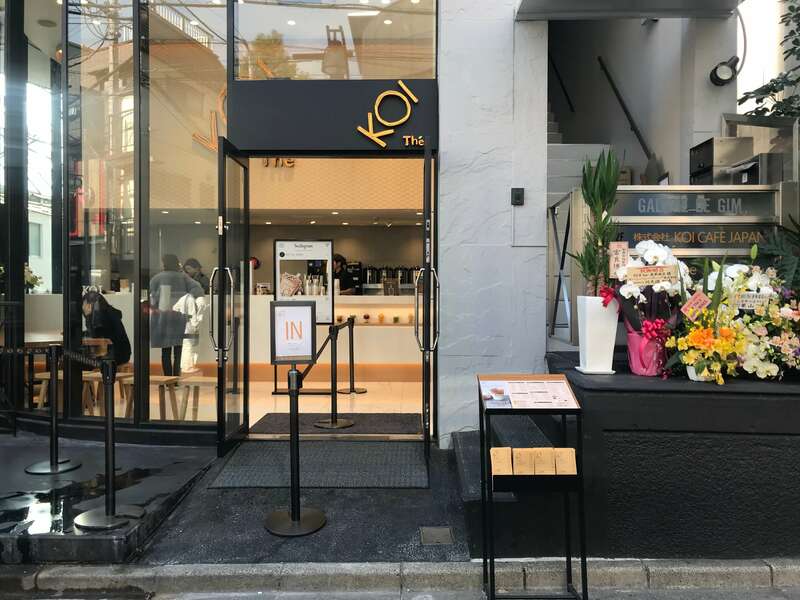 If you’re a little embarrassed at lining up at a tapioca shop then I recommend getting it from one for grown-ups in Omotesando!